Any directions that start with a request to measure 14 squares 1 and 3/8 inches and cut them in half to yield 24 HST pieces is bound to lead to trouble. I pieced as carefully as I could and tried to iron gingerly, but the toes of the bear paw turned out considerably larger than the paw portion. If I were smart or patient I would have measured carefully and fixed it before sewing the different parts together. The bus was coming though, and I wanted to get it done before the kids got home from school. 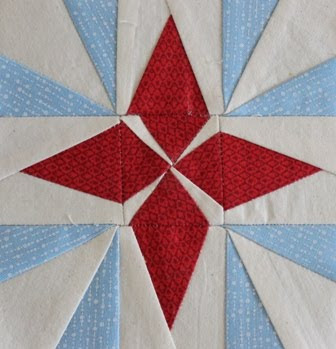 The little toes are all turned the wrong way as well as being ruffled and uneven. 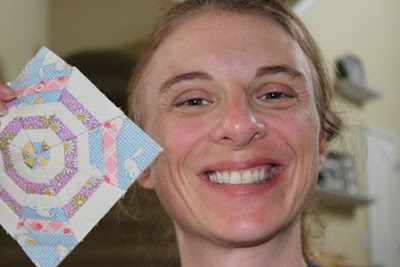 While the kids were doing there homework I drafted a paper piecing pattern. Maybe that will give me better results. The girls and I worked on a puzzle together while it rained yesterday. Tropical storm Nicole turned to the east and we didn't see much more than a heavy rain. 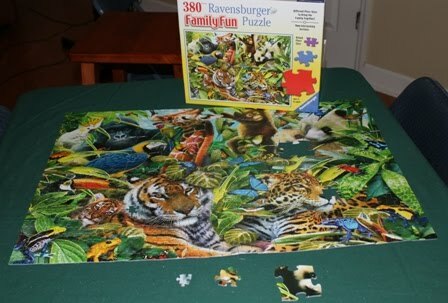 We found a puzzle with three sizes of pieces all together. I worked on the small while Sydney did the large and Anna tried the medium. Anna gave up pretty quickly, but Sydney finished up for her and then helped me with mine. It's never a good thing when Jim Cantore from the Weather Channel comes to town. I thought it just rained a lot this afternoon. 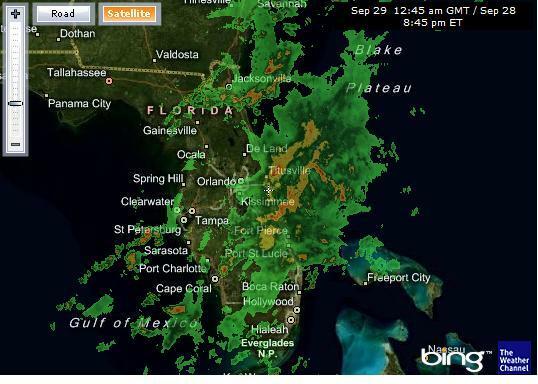 I didn't think much of it until DH checked out the radar and said it was a tropical system headed this way. Popped up out of nowhere. I'm sitting here watching the tornado warnings wondering if it is going to turn into anything worth worrying about. It's been quiet for a while. If this is the worst weather we get this year I will be happy. Micki over at Irish Muses is having a giveaway of a cool looking book called Miniatures in Minutes. 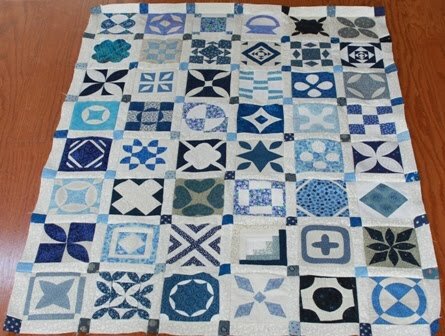 Given my recent fascination with small quilt blocks, it looks like it would be right up my alley. Go and check it out, tell her I sent you. I have lots of projects that have been abandoned along the wayside. I just keep plugging away at my midget blocks though. This one is number 33. It is called Merry Go Round. I was ready to come home after work today and take a quick power nap. Instead I decided to just whip up a quick little block. That's one of the nice things about these little fellows, they are bite sized. Last night was Academic Team, so I dashed out the door as soon as Kurt was home and got home in time to snuggle into bed for the night. I don't think there is anything on the books tonight, but I got a new book from the library that I've been enjoying, so I might snuggle up with that and have a quiet home night. Does anybody actually enjoy set in seams? I know you are supposed to do them by hand, but I never feel that my hand stitching is sturdy enough and so I use my machine anyway. I had one little mishap and sewed the long sides together instead of the short sides, but I got those back apart and put together block 32 without further mishaps. It didn't want to lie flat when it was done. But the iron and I worked together to convince it that it was the right thing to do. OK, so it may not be the flatest, squarest block I've ever done. But I guess that's why they invented the saying, "finished is better than perfect." Ryan had his first football game of the new season today. Here is Kurt doing his coaches thing during the huddle. Isn't he cute? After that was an OM practice. This morning I took the girls to see Legends of the Guardians. It's the one in 3-D with the owls. You know it is a tried and tested premise when an 11 year old thinks the plot is predictable. In between the fun stuff it was just laundry and cleaning of the house. Sunday is pizza night and then the girls and I worked on a puzzle. Just a regular old weekend around here. 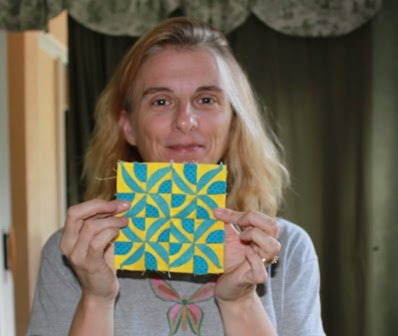 Midget Block 31 has 64 pieces in a finished square of 4.5 inches. It is called Painted Star of Many Points. 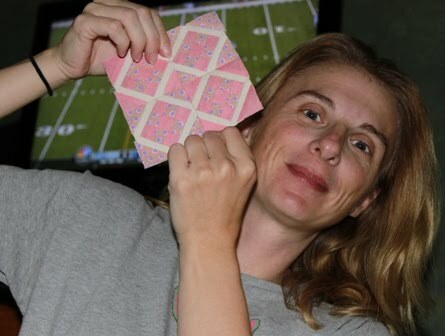 So far I have completed 31 blocks with a total of 982 pieces using 83 different fabrics. 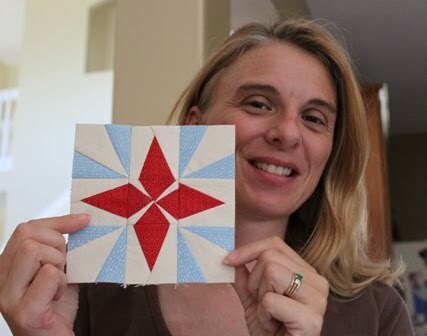 This block was paper pieced, with 20 different subunits! They all came together at goofy angles with lots of sharp points that could get cut off accidentally. I procrastinated starting this block all day long. It looked scary and so I delayed. I printed out the next 30 blocks and made a list of fabrics to buy. 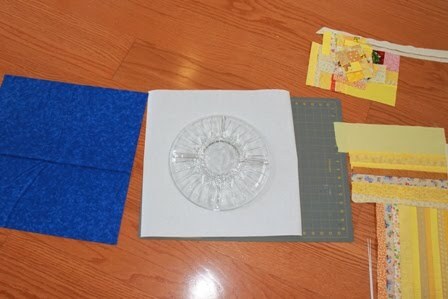 I added up the pieces and counted fabrics. I took the girls out to lunch and with dessert and a trip to the craft store . Finally I ran out of other things to do and decided to get started. After all of that, it wasn't such a bad block to put together. Paper piecing is very methodical. The pieces are numbered, the subunits are labeled. One bit follows another in a very predictable manner. Little bits add together to make bigger bits, and eventually it all puzzles together to make a cute little block. Ryan tied for third in his chess tournament today. He won 4 games and lost one. Somehow with a three way tie, he brought home a 5th place trophy. It's always nice to win a trophy. The girls picked out some dollhouse furniture at the craft store and spent the afternoon playing peacefully in the toyroom. Sydney wanted to make dinner all by herself. She took orders for sandwiches and served it with a side of popcorn and grapes. Not a bad day at all in my opinion. I've been prepping the house for new carpet for a couple of weeks now. I'm not sure why the new carpet hasn't shown up yet, but the house is getting all organized, dusted and painted in the interim. This morning I thought I'd switch gears and prep some more midget blocks. One afternoon this week I started pulling fabric and matching it with blocks until I started to run out of some things (like page protectors and solid accent fabrics. 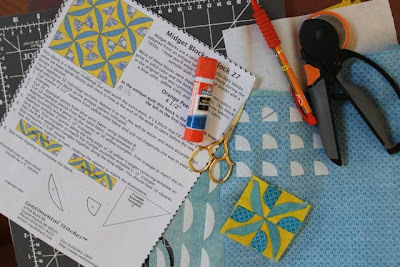 Today I sat down and went through the next batch of blocks, making a list of fabrics to fill in the gaps and then printing foundation papers or freezer paper templates along the way. I made my first midget block on August 3rd and we are now getting close to October. I've got the the first 30 blocks finished already, though the rate of completion has slowed considerably since school started again. I still think I'm OK on my goal to make two blocks a week though, so that is a good thing. Kurt has taken Ryan to an all day chess tournament leaving me with the girls. They would like to go to Hobby Lobby and look at the doll house furniture. Sounds like a great plan, I'll take my list and see If I can find some fabric while we are there. I hope you are all finding a few minutes today to do something fun and creative. Best wishes for a happy weekend. I wasn't feeling up to cooking last night, so we decided to go out to dinner. After much discussion and debate we decided to go to Pizzeria Uno. We told the kids to load up the car and Kurt and I went around checking all the doors before heading out. The girls were complete chatterboxes all the way to the restaurant, telling us about their days at school. When we arrived we got out and waited for the kids to pile out of the car. Out came the girls, still chattering away as we all looked expectantly at the door, waiting for Ryan to come out. One two.... oh no, not a third in sight. He wasn't with us! Engrossed in playing with his DS, he didn't hear us tell him to hop into the car. With a sinking feeling I grabbed the cell phone and shouted into the answering machine until he came to the phone. He didn't even realize we had left! It didn't seem to concern him that he was home alone and he asked if he could keep playing his DS until we got back again. I offered to keep talking to him on the phone until we got back again so he would have company, but he thought that was just silly. Zipping home again, I rushed into the house with the guilty feeling that I had unknowingly abandoned my child. He finally stopped playing his game long enough to remark, "You have returned for your long lost son abandoned at home." He smiled his goofy little grin and told me that he had evolved his Halcyon while we were gone and then asked if he could keep playing his game on the way to eat dinner. I wonder if he is scarred for life? I spent yesterday scrubbing baseboards and touching up the paint in the upstairs hallway. Today for an encore I spackled, sanded and painted three closets. I was pretty much done by the time the guys headed off for football practice and settled in to sew some binding and watch a movie with Sydney. I was tempted to head straight to bed as soon as the kids were settled, but I thought it would be nice to do some sewing today. Block 30 was next and didn't look too scary. 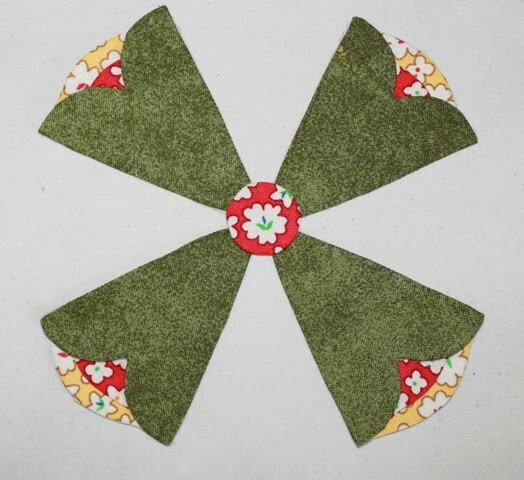 Just four little nine patches with a log cabin border and some triangle corners. The pattern called for cutting the corners off of the little white strips first, but I thought they might turn out better if I just sewed the white all the way around and then trimmed them down. I'm not sure if it helped or not, but done is the best kind of block of all so I'm calling it good enough. Kurt was nice enough to take a picture for me. 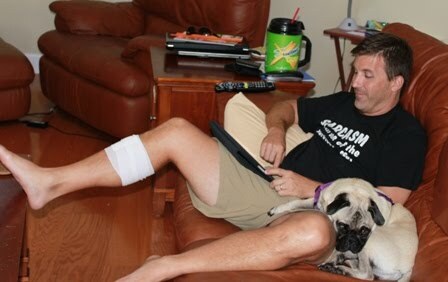 As you can see, he has settled in to watch some football this evening. I keep thinking that I should learn to enjoy football for the sake of being social, but it has just never clicked with me. I'm off to call it a night nice and early tonight. This week looks like it will be a busy one, so I'd better rest now. I teach at an Episcopal school and the reverend starts each faculty meeting with a prayer about how we are gathering in "necessary tedium". Crossing things off the organizational list isn't exciting, but I find it strangely satisfying. One tiny bit of the universe has been restored to some sort of tidiness, however fleeting it might be. We have new carpet on order and though they installers will move all the furniture and put it back when they are done, dealing with the clutter and mess that can accumulate under beds and in closets is far beyond the scope of their job. That gives me 7 to 10 days to get it all taken care of. 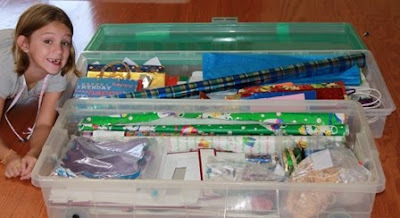 Today I tackled the wrapping supplies that live under our bed. 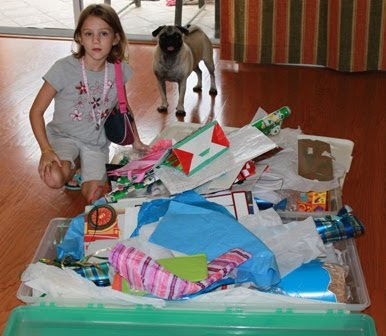 The kids enjoy wrapping presents and are not always careful to put everything back when they are done. So this morning Sydney helped me and we sorted stacked and purged. Isn't it much nicer now? We have a birthday party to go to this morning, but maybe this afternoon I can clear out Sydney's closet. She was doing pull ups on the clothes bar last weekend and started the disassembling process early. They can lay the carpet around closet organizers, but I thought it would be nicer to pull them out and then put them back on top of the new carpet when it is down. The girls only have one unit each in thier closets, so that isn't a big deal. Our closet hast 4 different parts though, so that will be a bit of a chore. At least it is nicely organized though and has already been purged and sorted. It isn't exciting, but it is needed work and I always feel better when it is done. Getting fun goodies in the mail from time to time is part of the fun of blogging. 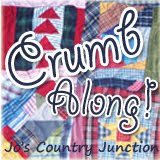 Julie at Jaybird Quilts is having a giveaway of some super cute fabric along with a pattern and nifty ruler. Go check it out and tell her I sent you over. Those fabrics would look right at home in my stash. Time seems to go faster the older you get. It's Thursday already and I'm having trouble remembering what happened to all of the days in the week. 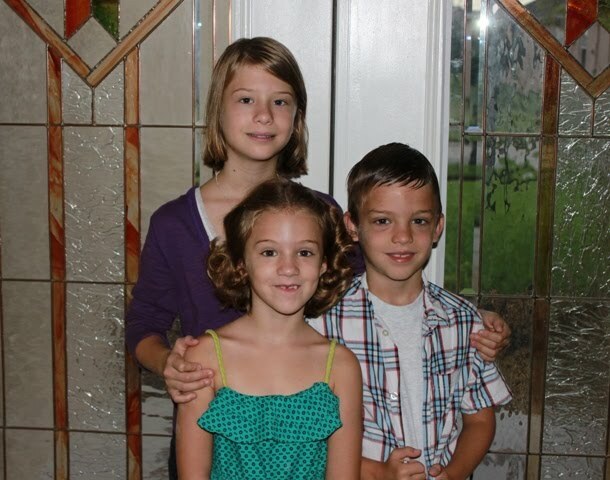 Monday was a teacher workday so no school for the kids. We had a Cub Scout Weebelos meeting at our house in the evening. Tuesday is faculty meeting day and Anna had art after school. I had a Girl Scout team meeting on Tuesday and went out for an nice dinner on the water a friend when it was done. 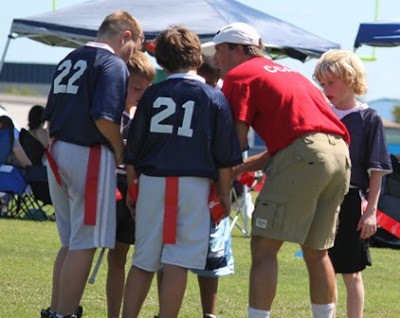 Wednesday it was Kurt's turn to go to an organizational meeting for flag football. He got volunteered to be coach, and that will be fun 'cause he has never been much of a player. That brings us up to today and I'm off in a flash to nab Anna from her Girl Scout meeting. Tomorrow is a working day for Kurt and I've signed up to go in and teach a science lesson for Anna's class again in the afternoon. The weekend has the usual activities. We're on a break from ice skating, but we've got a birthday party, football practice and OM I think. Just a regular old week around here. So I made sure to take some time out out this afternoon to work on a Midget block again. This one is 29 and is called Grandmother's Tulip. It is a nicely traditional pattern. I wanted to try back basting for needle turn, but chickened out and went back to freezer paper inside, my favorite method for applique. I haven't yet done the handstitching, but maybe there will be something good on TV tonight and I can finish it off. I don't have any school work or grading tonight, so stitching the evening away sounds lovely. I really like this pattern. I always have trouble though, when I mix in random scraps without some sort of theme to tie it all together. Some sort of background fabric could have helped to give the colors a little space to breathe. Almost anything colors look good with enough white mixed in. 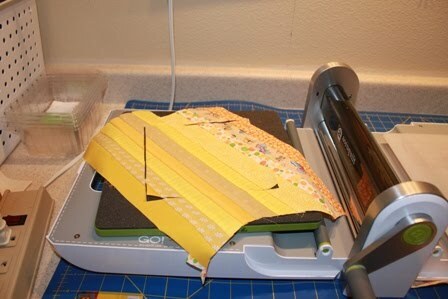 I think the same pattern would be a cute way to use a nicely coordinated jelly roll. Rather than agonize over a failed experiment, I'm just going to use some big blue triangles to frame it all out and call it done. 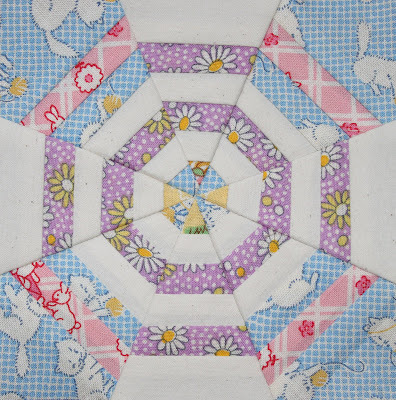 The kids will love a nice snuggly quilt to cuddle up with in the toy room. 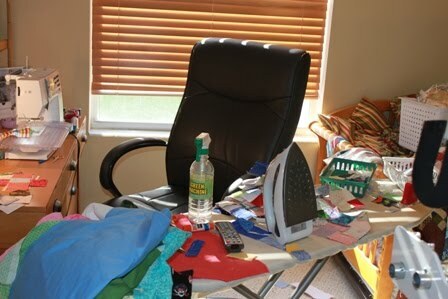 I was puttering around in the study, ironing and organizing some leaders and enders and odds and ends. Kurt was in the backyard working on a new clubhouse for the kids. I could tell by the determined footsteps straight to the downstairs bathroom that something was up. Sure enough, when I called out, "Do you need any help?" The answer was an affirmative. Apparently it was due to the hot humid weather that the axe became slippery and bounced off of the 4 x 4 and into his shin. He tried to ignore it, thinking it was just a scratch, but when the blood started seeping into his sock, I guess he decided to have a look. Thankfully the urgent care clinic is close and convenient, letting us avoid the dreaded emergency room trip. It took less than an hour to get 4 stitches and an updated tetanus shot. We made it home again in plenty of time for the Iowa game on TV. Ryan and Sydney were nice enough to make chocolate chip pancakes for dinner. 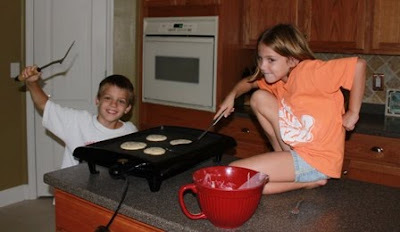 Aren't they great little pancake flippers? So after all of that, I did eventually make it back into the study again and worked on finding all of the parts of this project that got lost somewhere along the way. 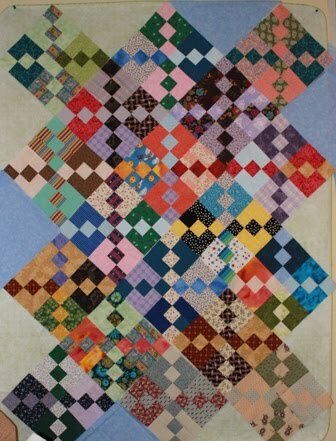 It is a scrap block by Bonnie Hunter from Quiltmaker Magazine. It's been a while, but maybe it was called Carolina Crossroads? 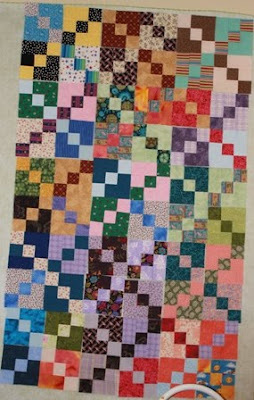 It is a little long and skinny at the moment so I might cut out a few more blocks for the edges and quilt it up for a snuggler for the kids. 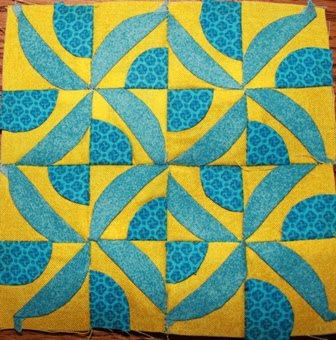 Or maybe I'll try something creative with an asymmetrical border to get the proportions right without making more blocks. I was feeling all caught up for the moment and so took a few minutes to put together Midget Block 28 today. 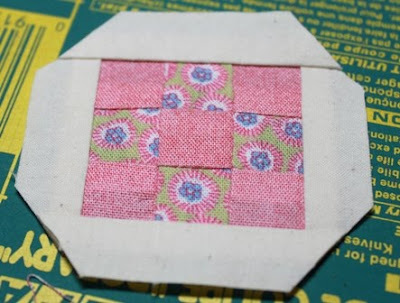 It is called Calico Puzzle and it was simple, straight forward traditional rotary cutting and sewing. Tiny traditional cutting and sewing. Each of the little blocks is 1.25 inches and there are 36 of them. 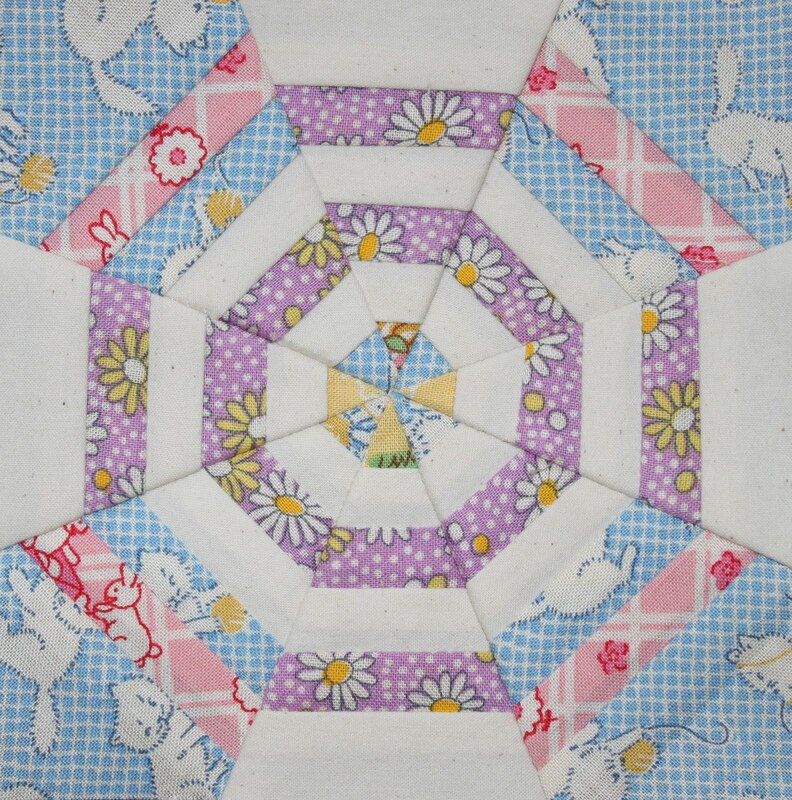 It really helps when putting these little buggers together to think of each block as a tiny little quilt. 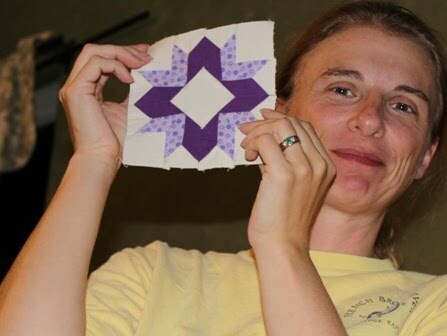 Isn't that an adorable little tiny 5 inch quilt? 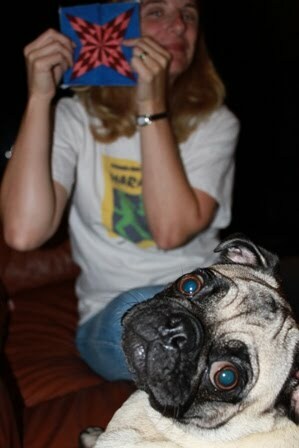 Nobody was home to take a picture of me with the block, so Lizzie was kind enough to hold it while I snapped a photo. Isn't she a great helper? Today was school picture day and Sydney asked me to curl her hair with a curling iron. I tried to do Anna's too, but her hair just wouldn't hold onto the curl. 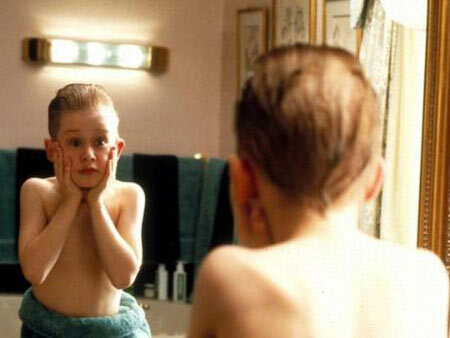 Ryan used gel on his hair. So fancy! Last night they all had a little fashion show for each other while deciding what to wear. I had to run off to a coaches meeting for Academic team, but I listened in on the beginning and it was hilarious. If I had chosen a focus project for the weekend, I'm sure I could have made good progress, maybe even finished something off. As it was, I chipped away at lots of projects and puttered around the house. It was a nice and relaxing way to spend a rainy holiday. This morning I got out the GO cutter and turned the extras from yesterday's moon fabric into string blocks. 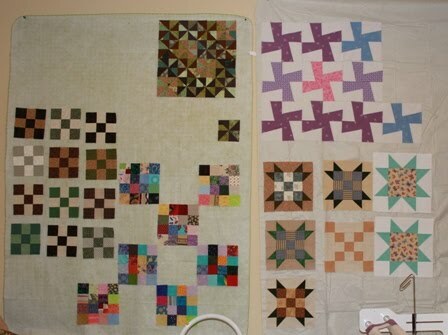 I'll take the extras from that, sew them together again and make some crumb blocks next. Using the 6.5 inch die is a nifty way of making strings without all that messy paper and flipping and sewing. 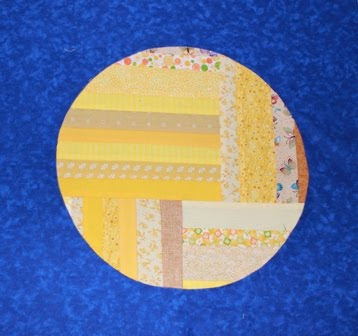 These are all yellow and will eventually turn into a monochromatic string quilt (Amy suggested String Cheese for a name -- isn't that cute?). 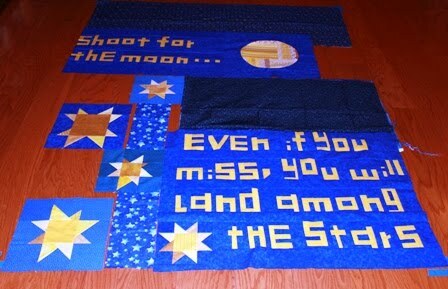 Working here and there I got the words for the moon quilt put together into two big blocks with a moon and a star. I'll let this one continue to simmer and figure out what comes next in the light of day. Anna doesn't want a lot of different fabrics, but if I had know the background was going to be consistent, I would have used different yellows in the letters. It's all going to be very uniform and even if she sticks to her guns. It is her quilt though, so if she wants to to be boring, so be it. I'm trying to subtly sneak some variety in there without her noticing. Next up, with the design wall empty, I took a lint roller to it and then rotated one to put up another. 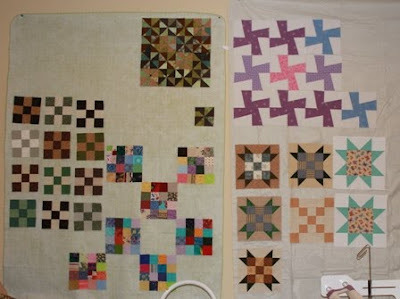 Now I've got lots more room to play so I threw up my current L&E project (another 4 squared) along with the nine patches for Mom's shams and the leftovers from my last few projects. While pondering all of that, I sewed the brown and green pinwheels together. They were the bonus blocks for the Sage Blossom quilt that was a baby shower gift. I don't seem to have enough of any of the others to make a statement yet, so they may all go into the orphan bin for a bit. I'm sure eventually something will grow into a quilt. Sewing is funny that way, isn't it? Make enough quilts and eventually something will come from the leftovers, much like the volunteer tomatoes that thrive in the compost pile. I spent most of yesterday putting the words together for Anna's Shoot for the Moon quilt. I measured the top of her bed and taped it out onto the floor to make sure the blocks would fit the right way. I thought I would fill in the empty spaces with 5 inch blue squares. Now that I see it all together though, it seems a little busy. 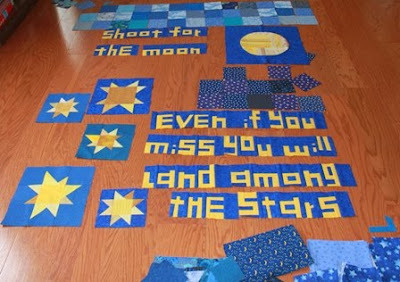 I asked Anna what she thought (it is her quilt after all) and she wants just the same blue fabric from the words to fill in all the space on the top. It's a good thing I got lots of blue fabric! I think I'll do several borders, but just along the three sides. The top of the bed fits against the wall and the pillow will go on top of that part. Maybe by the end of the day I'll have the top part done and be ready to start on borders. Anna has been asking when I was going to finish her quilt. 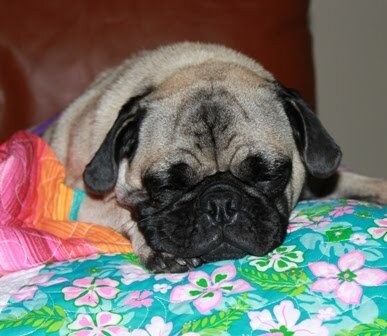 We are in the process of getting new carpet, and I will have to move the quilting machine out of the study for a while. I am thinking about using the move as an opportunity to set it up full size and quilt a couple of BIG quilts that I have in the works. This one will need to be queen sized, so it will be one of those projects. I spent most of today getting the words put together and then decided to take a break before inserting the punctuation to make the moon. Out came the yellow crumbs and strings! The study looks a little frightening right now, but I produced LOTS of yellow crumb fabric in the process of getting enough for this 19 inch moon block. The carpet guy is going to be here at 4 to get the contract signed, so I'd better get moving. Anna made dinner last night while Kurt was away at his football thing. 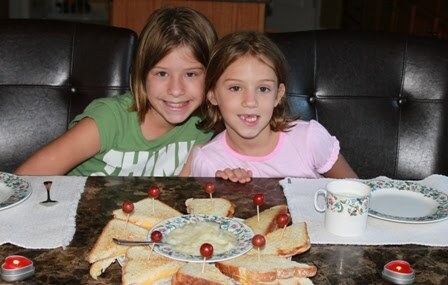 Grilled cheese with instant mashed potatoes and fruit kabobs. She did it all by herself and even set the table with pretty china and candles. If I were fond of the colors, or the shape or the design, this would be a really cool block. As it is, I just think it is a little psychotic, or maybe psychedelic, or something else maybe. Hard to say. I have yet to stitch the edges down by hand, but the corners are sewn into the seam allowance so that is holding it all together for now. Kurt is feeling better enough to venture out for a fantasy football draft and all of the kids are off at different friends houses. I should take advantage of a few quiet minutes and do something productive. Maybe I'll just sit and enjoy the silence for a minute first though. Checking things off the list one by one. 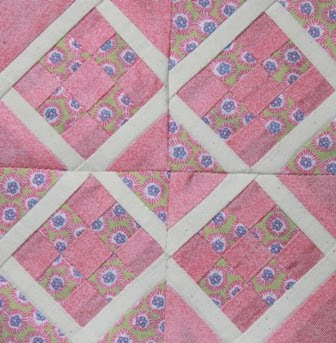 On my agenda was sewing the Dear Jane Blocks together so that I could make some space on the design wall for working on Anna's quilt. I bought another table cloth so that I could put up two design walls, but I needed to get some project moved along to make the rearranging easier. 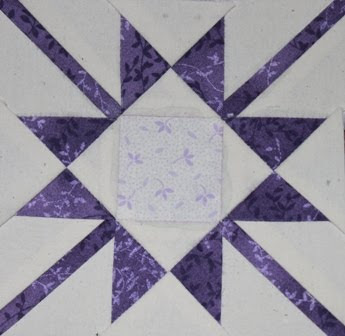 I'm thinking of doing a wide scalloped border on this one, I don't know whether I want to add applique or not. 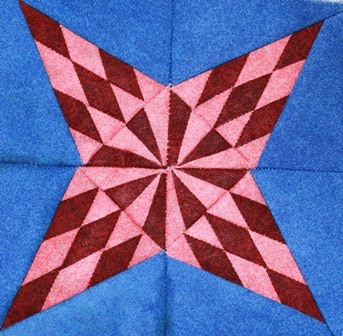 This quilt has been in the works for a while now, so it's not as if I need to have it finished tomorrow. I do feel less guilty about working on the Midget blocks without this one lurking in the background. I'm still pondering an attempt at the whole quilt someday, but it won't be monochromatic -- to repetitive to work on long term. Instead I'll just pick a theme. Maybe brights, those would be fun to work on. A happy rainbow radiating out of a bright red center. That would be a fun quilt. 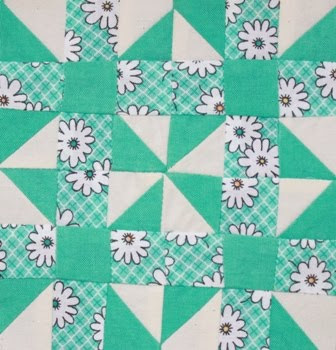 32 little wedges to applique onto 32 little triangles to be sewn together into a 5 inch square? Who thinks of these things? 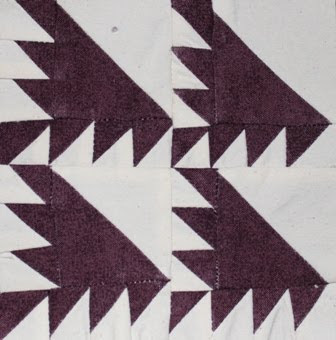 I didn't like the idea of applique on the long bias edge of a triangle, so I cut squares 1.625 inches each and put a long skinny piece in the middle and a quarter circle in a corner. 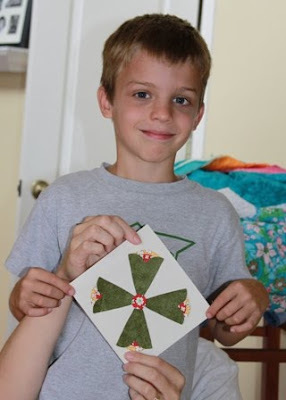 I made four of those and then sewed it together into a four patch. I'll applique those little suckers down and then make three more just like it. 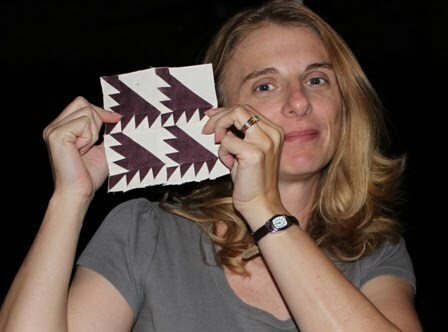 Comparing my little bits to the picture, I think my applique shapes are a little big. Maybe from the round of patterns I printed with the wrong printer settings. I like the way that the two pieces meet in the middle though. I think it makes the pattern look a little more like more deliberate. That's my story and I'm sticking to it. We were supposed to travel up to Atlanta this weekend to see my side of the family. Kurt is sick though and hacking and miserable looking. I was pretty sure that we would all be the same way after 16 hours in a car together. Also, Zach is still medically fragile and I couldn't bear the thought of bringing our germs up to him. There are two more three day weekends between now and Thanksgiving though, so we will make the trip sometime soon. That does mean I have time this weekend to do some sewing. First I'd better do the yard and the laundry and hang out with the kids a while, but sewing is definitely on my list somewhere. I hope everyone else has lots of fun projects lined up. Holiday's are a very good thing. I thought I'd try to get one more block in this evening after bedtime for the kids. Kurt was playing volleyball so it was peaceful for a bit. 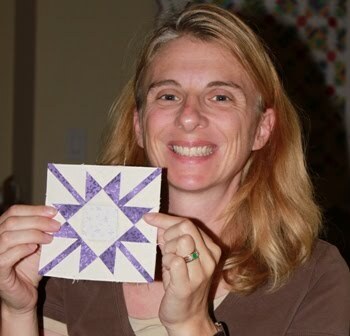 This is Old Snowflake and it is block number 26. This one was simple enough. 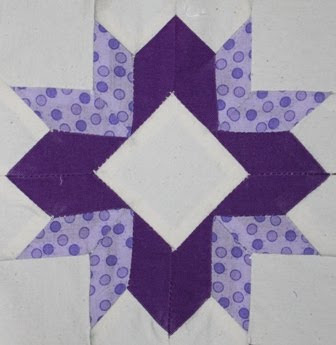 A darker purple would have been nice in the center, but it's a nice little pattern and came together just fine. What a relief after the last two better done than perfect blocks. The seams are still a bit damp where I spritzed it to get the seam to lie flat. I think that will dry well enough. Lizzie was helping me sew the binding down on the Girl Scout cookies quilt. She likes to be part of the action. 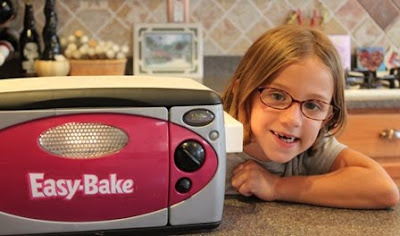 Most of the afternoon was spent in the kitchen keeping Sydney company while she baked. She made 7 cookies and they cook one a time for 10 minutes each. 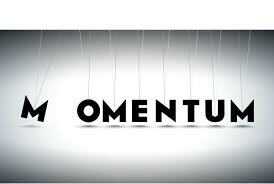 Attention span is never a problem when she is feeling motivated. Ryan wanted to know why we didn't just turn on the oven and cook them all at once. 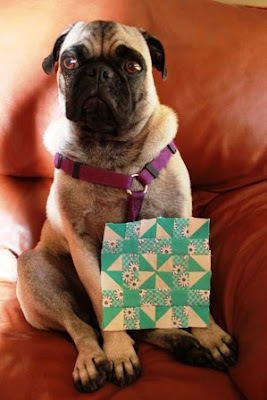 It is hard to believe that it is Wednesday already and I had yet to sew a stitch this week. I don't have a particularly good reason, just life. When Kurt was out of town last week he called and said they wanted him to go on another trip this week. He took a look at the schedule and decided that it was going to take both of us to get through it. The kids have open house at their school for two nights, the one where you go in and hear the teacher talk . They schedule open houses for all the extra programs at the same time, so were are finding out about Odyssey of the Mind and the strings program as well. There is still a bit of a learning curve when starting over at a new school, but we are getting it figured out I think. Kurt swore that he wasn't going to coach an OM team this year, but now he knows the topics and they've got him hooked. Mousetrap cars or a Rube Goldberg Machine! Ahh, bliss for an engineer. Anna had a trip to the ophthalmologist yesterday as well, they dilated her eyes which was pretty funny really. I think Kurt is off to volleyball tonight, but I'm going to stay here with the kids and let them get an early night, I think they could use it. It's a three day weekend coming up and I think we are all looking forward to a respite. So here is my slightly wonky attempt at block 25. It is called Guiding Star and I find it to be needlessly complex. Honestly, looking at those little white strips in the center, what do they add to the design? I'm being cross because the middle section didn't want to play nice. The points are not pointy, the section isn't square and so I've decided that it would be better to just replace it with a plain old red square instead. If I ever do this block again, I will try it that way. Other than the fiddly middle section, the rest was simple paper piecing. I continue to be puzzled by the order of the sections. I would naturally start in the middle and work my way out symmetrically. The directions don't say to do that though so I will live with the apparently random seam allowance.